The Loom: Richmond Mills is made up of a lofts, artist studios, office space for small businesses, commercial real estate, and warehouse space for rent in Philadelphia. We specialize in providing rental space to the creative industry and young companies. Founded in response to a lack of suitable space for artists in Philadelphia, The Loom offers warehouse space for rent in Philadelphia, affordable Philly loft space, and artist studios perfect for artisans, manufacturers, visual artists, musicians, and makers across all sectors. The Loom: Richmond Mills is home to many of the cities well-known companies and artists. We view the building as a frame and all the individual tenants as its fibers. Combined, they weave together to become part of a greater whole, just like an actual loom. We foster the kind of community and cross collaboration that is essential for true innovation. Creative professionals, entrepreneurs, ecopreneurs, social ventures, and businesses in Philadelphia can call our studios home. Our organizational philosophy is one of creative collaboration and communal inspiration. We’re proud to offer our buildings as a focal point of Philadelphia’s burgeoning creative movement and seek to provide access, resources, and expertise to this community. The 250,000 square feet that makes up The Loom: Richmond Mills buildings are located in Port Richmond, very close to I-95. We have full time on-site maintenance staff, private security, secure on-site parking, video surveillance, electronic entry systems, and exterior lighting. As the former home to an historic carpet mill, it connects local companies to the city’s industrial roots. Housed in the former Masland Carpet Mills, the facility was chosen for its rich industrial heritage and for the rare opportunity to revitalize a unique Philadelphia architectural landmark. 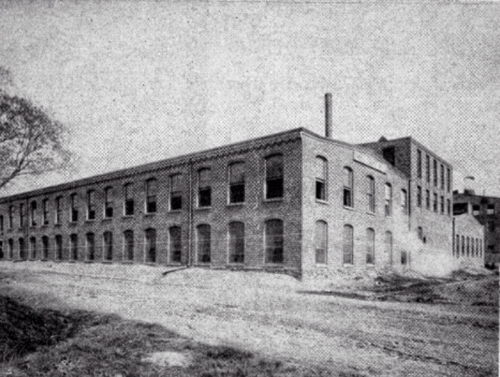 The building held carpet magnate CH Masland and Sons’ manufacturing facilities from the late 1880s until the company vacated in 1929 for Carlisle. Some of the era’s finest and most popular rugs were made within its walls. The Loom buildings feature over 250,000 Sq Ft of reclaimed industrial space redone with modern conveniences, making it the quintessential Philly loft space. It offers studios, workspaces, co-working space, and manufacturing floors of all sizes. Studios feature large windows and much of the original wooden construction. Despite modernizations like Internet, security, indoor café, and outdoor green space, the building still reflects America’s industrial heritage, both in feel and with remaining infrastructure such as loading docks, passenger elevators, and multiple freight elevators accessing all floors. We feel it’s the kind of place that connects this country’s manufacturing values of the past with today’s modern creatives who are spearheading the new American industrial renaissance. The building itself serves as inspiration.